Multicore Cables :: Multicore Cables Manufacturers,Multicore Cables Suppliers & Exporters :: Garg Associates Pvt Ltd.
GARG PTFE/FEP/ETFE insulated multi-core cables are required mainly for high-reliability and high-temperature interconnections for signal and control applications. GARG offers any number of pairs, triads, quads, coaxial cables etc. combined into one large cable, with or without shielding on individual pairs/triads/quads, as well as with overall shielding. Jackets can be PTFE, FEP, ETFE or Varnished Fibre Glass (VFG), for high temperature requirements. 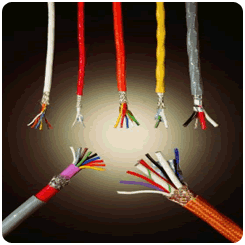 Since PTFE jackets on large sized multi-core cables are extremely difficult, PVC or PU jackets are sometimes used. "Our wires meet airworthiness requirement as well." "Standard cables meet popular military standards (US Navy's MIL-W-27500H, Indian JSS 51038) while custom cables can be designed according to the requirement. Our cables meet airworthiness requirement as well." We refer to a case where we manufactured a special cable for British Nuclear Energy to control a Nuclear Robotic Arm. This cable had 28 members, some for sensing temperature, some for audio signals, some for video signals, a few for operating the lights inside the reactor, a number of others for activating the motor, and so on. Even though most common cables would not have such a large number of applications in a single construction, it is sufficient to illustrate the varied uses of multi-core cables. 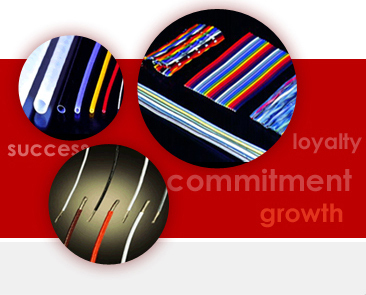 Please contact us for any custom cable requirements.